Don’t Forget APEX Discounts for Prospect District Residents! The new playgrounds at Maple Grove Park are now open!!! Come checkout the latest addition to this well loved park. 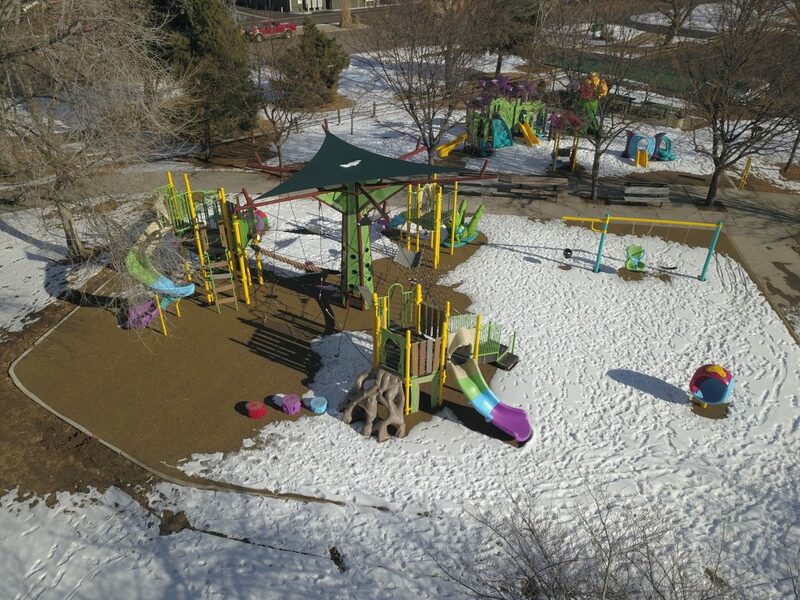 A little more work will be done to the playgrounds later this spring when the weather warms up. Some large colored graphics will be installed in the poured-in-place surfacing, including a butterfly, a grass hopper, and others. The playground will need to be shut down for two or three days at the time that this work is done. Stay tuned for further updates.